Alex joined Windermere Insurance Group in 2014 and currently serves as a Commercial Insurance Advisor. He specializes in the placement and service of construction and real estate development insurance programs. Alex’s responsibilities include contract review, providing risk management solutions and client development. 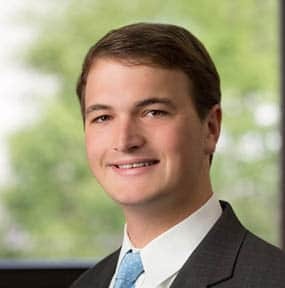 Prior to joining Windermere Insurance Group, Alex served as a commercial credit analyst with First Citizens Bank & Trust Co. in Charleston, SC, where he gained extensive underwriting and financial analysis experience. Alex graduated from Sewanee: The University of the South with a BA in Economics. He is a graduate of Woodberry Forest School and an active member of the Urban Land Institute.